Regulator & Moisture Trap for D500, D200, DA300 & DA400 compressors. The R-75 is a low pressure regulator with a 100 psi gauge and moisture drain. 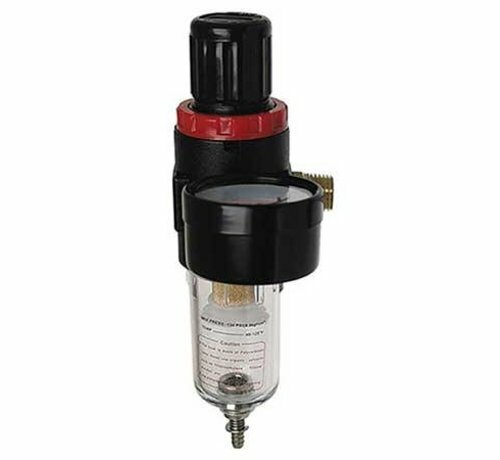 This regulator gives control of operating pressure as well as assisting in furnishing clean, dry and regulated air. Maximum primary air pressure: 135 psi. Temperature Range: 40° to 125°F. Accurate regulation between 2 and 60 psi.